It's always so funny to think about the foods you like when you're an adult that you wanted nothing to do with when you were a child. I know even about 8 years ago I made a list of the foods I didn't like because I was bored one day and my boyfriend at the time (husband now :) ) wanted to make me dinner but I was super picky. The list ended up being two columns on a legal pad and took up the whole front and one column on the back. These days I've re-tried almost all of those foods and like them. It included things like pears, asparagus, broccoli, squash...I was a terrible vegetarian seeing as there were a lot of vegetables on the list of foods I didn't like. I like all of those now though, I just hadn't had them prepared a way that I liked. 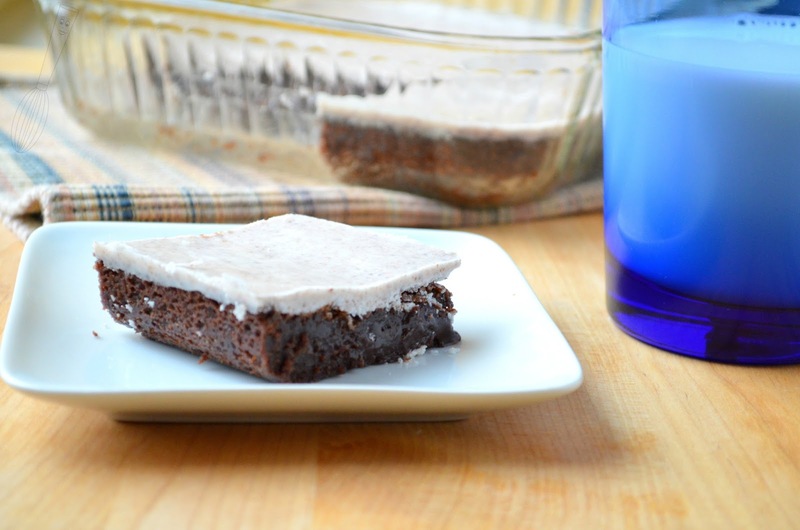 It sounds like this post should be about tofu and not brownies. It's sure enough not about chocolate, I love chocolate and always have! Where I'm going with this is Ovaltine. It seems to be a love it or hate it type of thing and lots of people have bad thoughts about it. I never had it growing up that I remember but once I was an adult I tried the "rich chocolate" version and was hooked. 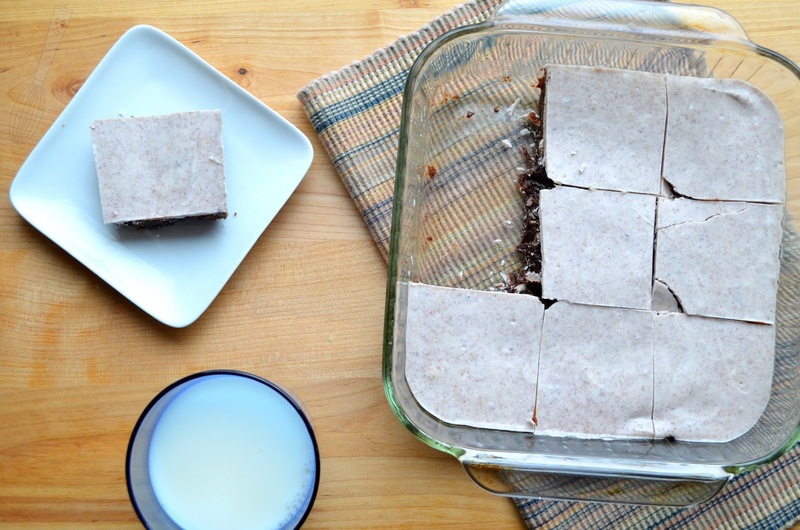 These brownies use the "malted chocolate" version of Ovaltine which just tastes like Whoppers to me so I thought it would be perfect in brownies. The white chocolate topping just adds to the creamy, chocolatey goodness. You could use the "rich chocolate" version if you want to and that would also add a little extra nutrients to a decadent treat. I hope you enjoy them as much as I do! Happy Baking! 1. Preheat oven to 350F. Lightly grease an 8” x 8” baking dish, set aside. 2. In a medium bowl stir together the butter, brown sugar, granulated sugar, and vanilla until blended completely. 3. Add the two eggs and stir until completely mixed. 4. Add the flour, salt, Ovaltine, and cocoa powder. Stir until smooth and blended completely. Pour the batter into the prepared baking dish. Bake for 24-27 minutes or until a toothpick inserted in the middle comes out with just small crumbs on it. Set aside to cool. 5. Melt the white chocolate in a double boiler (recommended) or in the microwave at a low setting until almost melted completely, then stir the white chocolate until smooth. Stir the 1 tablespoon of Ovaltine into the white chocolate, then spread the white chocolate mixture evenly over the brownies. Set the pan in the refrigerator to chill for at least an hour to set up the white chocolate topping. It does not need to be stored in the refrigerator. Cut into squares and serve. Oh yum, your brownies look and sound delicious!